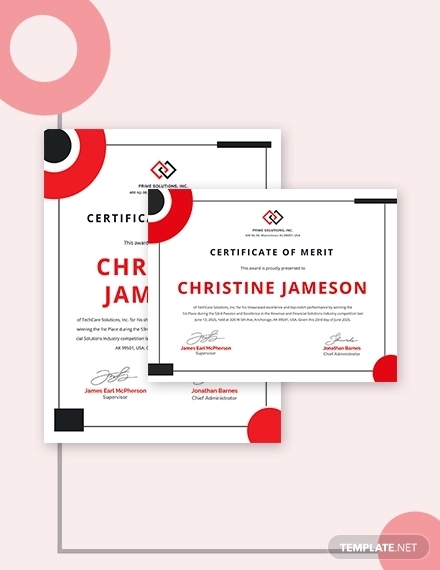 A certificate of appreciation is just one of many certificate examples given to certain individuals to signify that their effort and presence are highly valued. 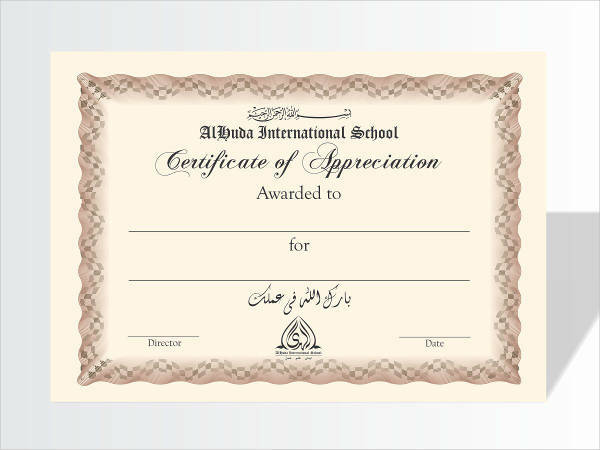 It is a type of award certificate that schools, companies, and other organizations hand out to promote a positive environment. 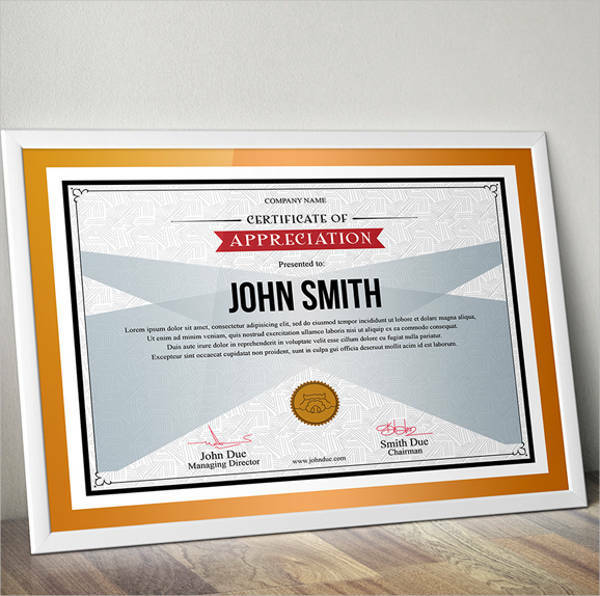 A traditional appreciation certificate represents a simple “thank you”. In the workplace, they could be given for peer recognition or annual awards. 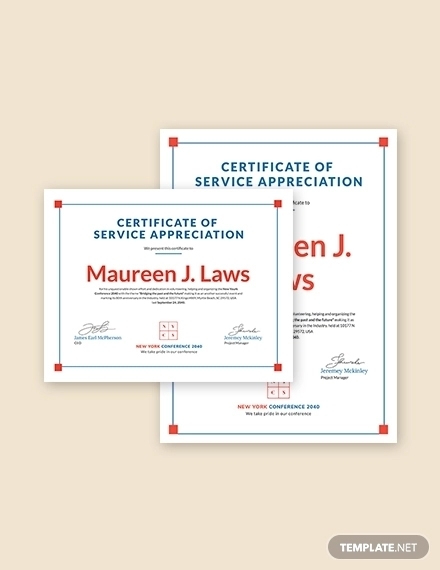 These free thank you note certificates are often awarded for simple acts that deserve to be recognized. It is a formal way of expressing genuine thanks. 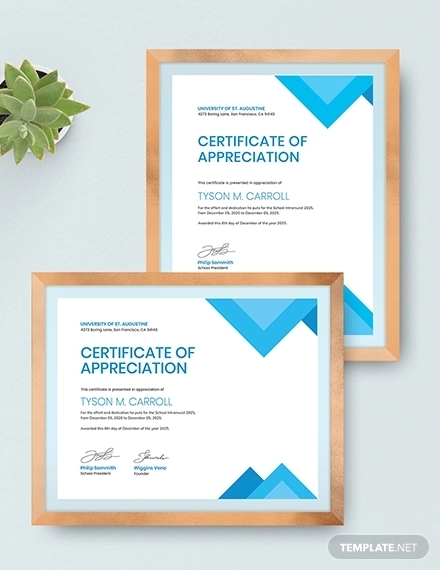 What Is a Premium Appreciation Certificate? 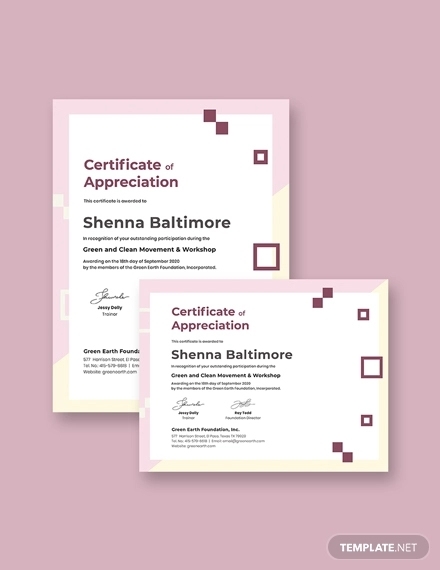 A premium appreciation certificate templates varies from the traditional certificate of appreciation in terms of purpose. Its still awarded to individuals for their endeavors but for an even higher honor. 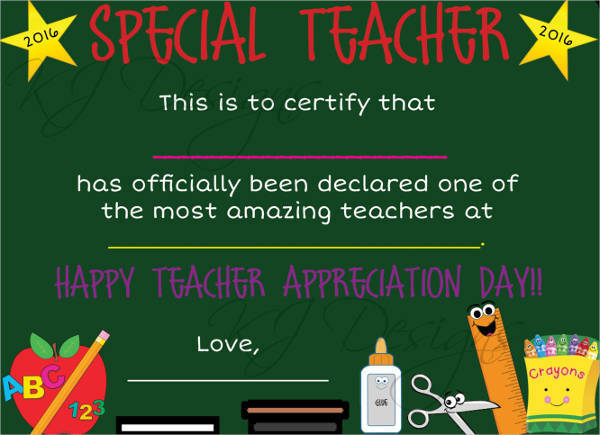 One example would be a graduation appreciation certificate handed to those who are most deserving of the award. Individuals who have excelled or portrayed exceptional attitude and behavior are eligible recipients for such award. 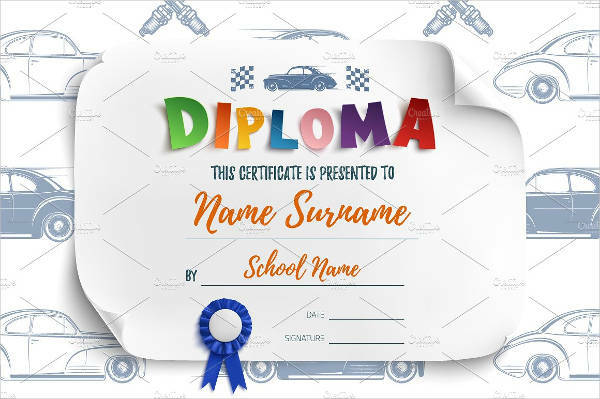 Keep in mind that this type of certificate is only given for good reason. Those who have made significant contributions deserve to be acknowledged in the sincerest way possible. 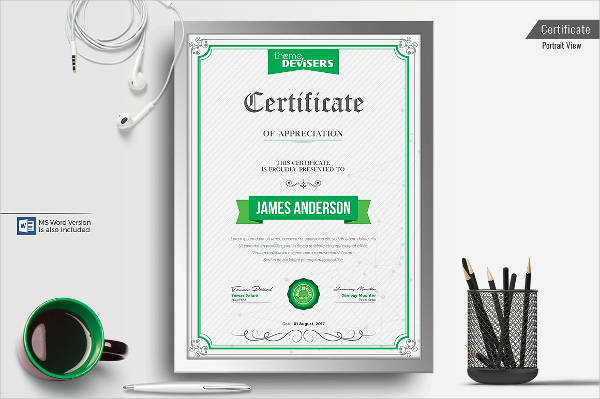 This type of modern certificate may also appear more extravagantly than normal. 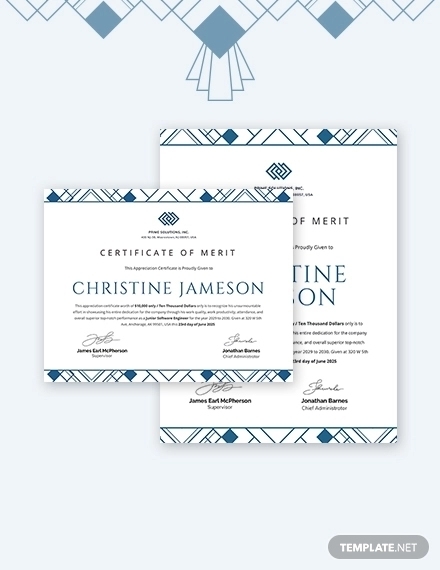 It may vary from the standard certification template used for traditional appreciation certificates. 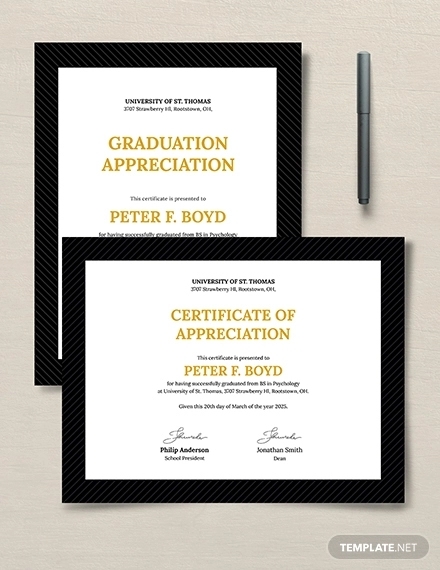 This could be in terms of quality and design, from the type of paper and frame used to the certificate’s layout. They are visibly more luxurious and elegant in appearance to emphasize the pride and honor that the certificate represents. 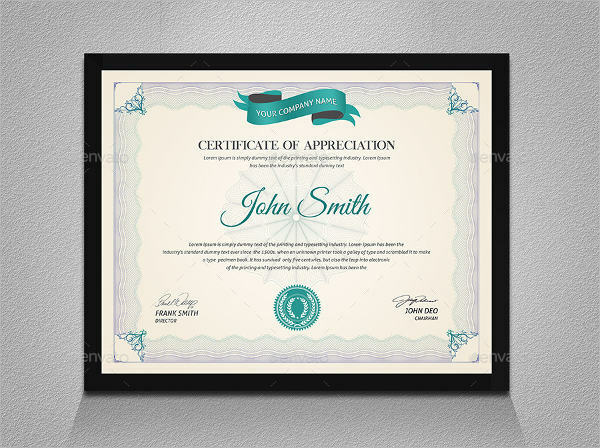 A premium certificate of appreciation is also designed to be formal, often consisting of colors that represent grace. Determine the award’s recipient. First and foremost, you need to make sure that the person meant to receive the award actually deserves it. It could be that they may have met a criteria or exceeded expectations. Observe correct spelling. This is especially applicable in typing the honoree’s name. 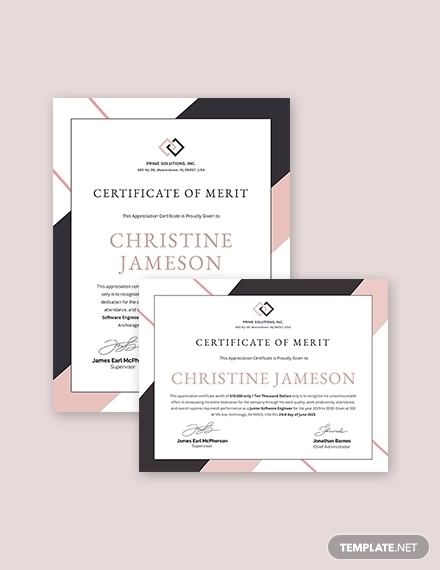 A mistake in spelling would definitely lessen the certificate’s sincerity and value. Include the name of the award. 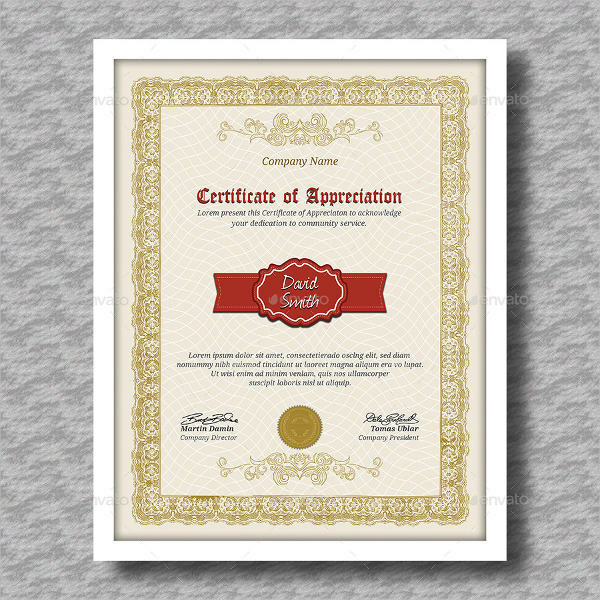 “Certificate of Appreciation” is usually printed in an Old English type of font to represent class. State the reason for the award. You need to indicate why the recipient is even honored in the first place. Signatories. A signature will represent the credibility of the award. Always consider the design. 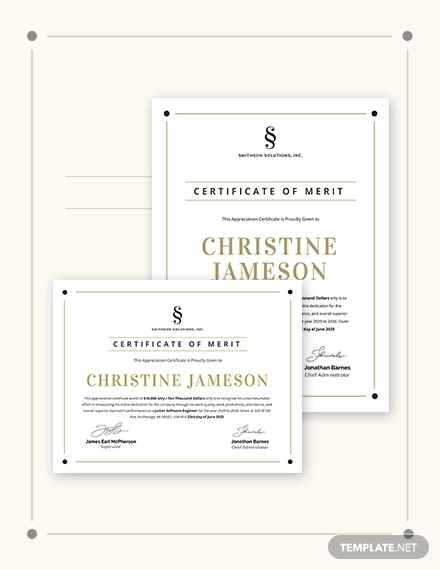 Premium appreciation certificates typically appear classier compared to the traditional certificate. 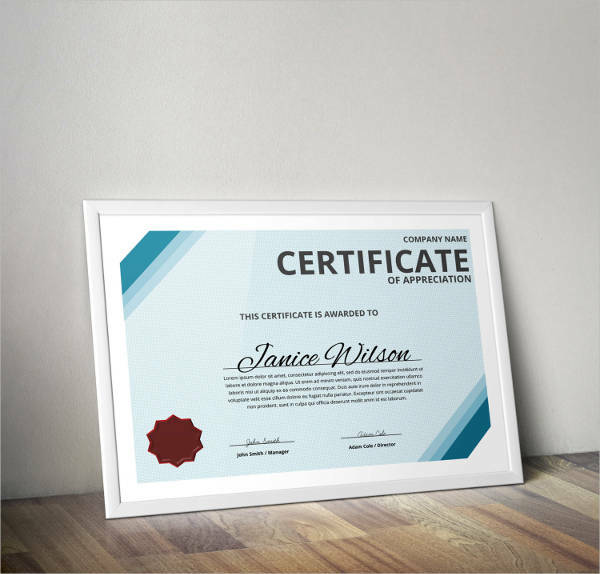 The purpose and value of the certificate example in pdf should always be taken into consideration when designing. 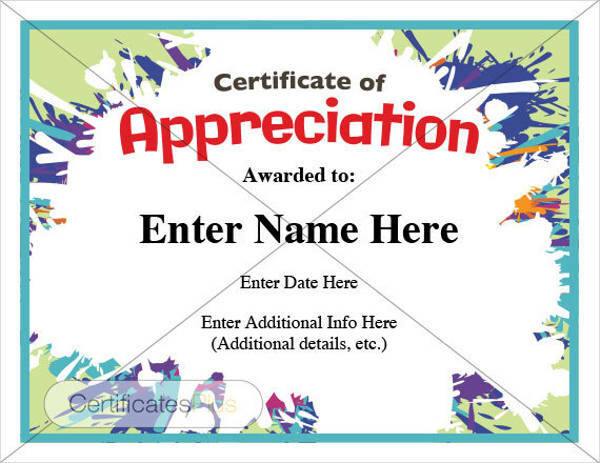 Designing a certificate of appreciation might deem as a challenge to some. As long as the purpose is taken to heart, it would be easier to come up with something that will represent pleasure and thanks.